E3 2018 is officially in the books! We give a run down of the presentations from Sony, Nintendo, Microsoft, Bethesda, CD Projekt Red, and Ubisoft and discuss our thoughts. 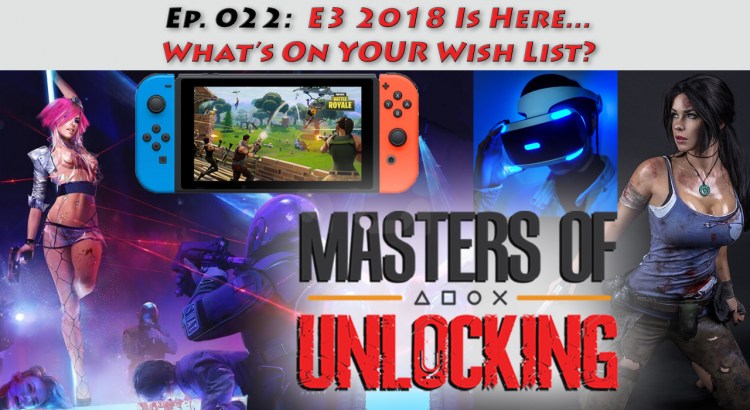 We get ready for next week’s Electronic Entertainment Expo (E3) by taking a look at what has been announced/leaked thus far and what things we’d love to see. We also talk Best Buy, eSports, Let’s Plays, Fallout mods, and more! The gigantic “Fallout: New California” mod nearing completion – will Bethesda allow it? 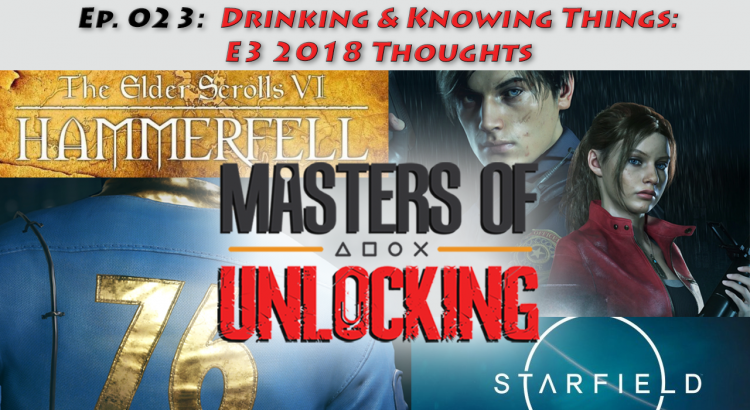 E3 is next week, we discuss developer thoughts on leaks, explore pre-show announcements (like Fallout 76), and what items are on our wishlist for this year’s show. The rumor mill is running wild about Microsoft buying EA, Valve, or PUBG. We look at why those don’t make sense and propose three new contenders for who we think House Xbox SHOULD acquire. 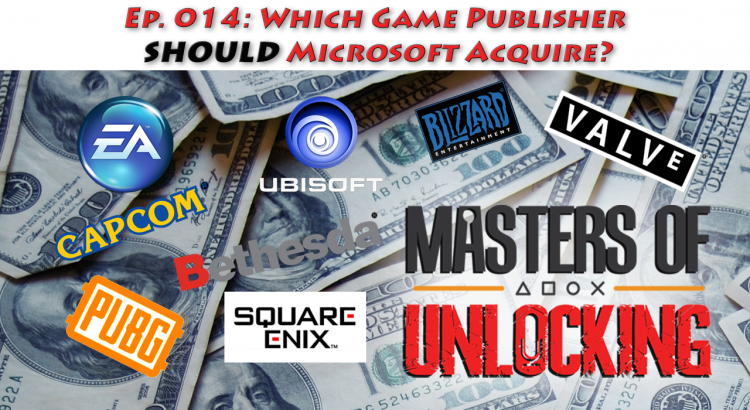 Rumors abound about a potential looming video game publisher acquisition by Microsoft. We look at the rumored names – EA, Valve, and PUBG Corp – and then ask who SHOULD Microsoft acquire? Turns out… it’s not one of those three. One is an author and game-lover, the other is a collector and recovering game store owner. Caleb J. Ross (@calebjross) and VGCollectaholic (@VGCollectaholic) delve into the business, economics, and psychology of video games. New episodes released every-other Monday.